This is a good time to be pruning your apple trees. 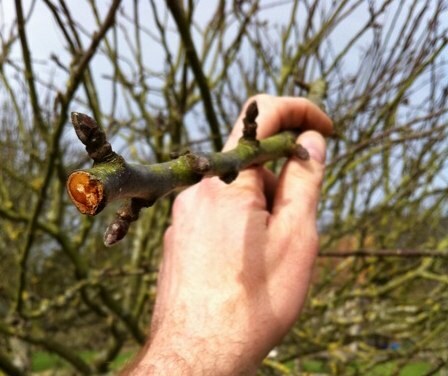 Here are the top tips from Orchard Pig on how to care for your apple trees – you can do this whether you have one or a whole orchard. Focus on the leader of your tree; height is key. Single out the leading branch to get the tree to grow tall and straight. The trunk should be a smooth cylindrical shape. If there are branches that are restricting that shape remove them so that the ﬂow is upwards. Cut in the right place, always back to the main trunk. The apple orchard pruning begins prior to new growth after its Wassail blessing.